Holistic Dental provides dental services in several different locations. They required a brand makeover that would help them dominate their competition online. They wanted Platinum SEO to use online marketing to help increase their customers. To get a good understanding of the dental practice, Platinum SEO visited all three practices and noted down the strengths and weaknesses of each location. We interviewed both the dentist, and the dental practice manager to gain valuable information about the practice. We then completed an in-depth analysis of the information we had gathered. After this, we were able to come up with a strong strategy that involved redesigning the current website, and adding more pages providing explanations for treatments. 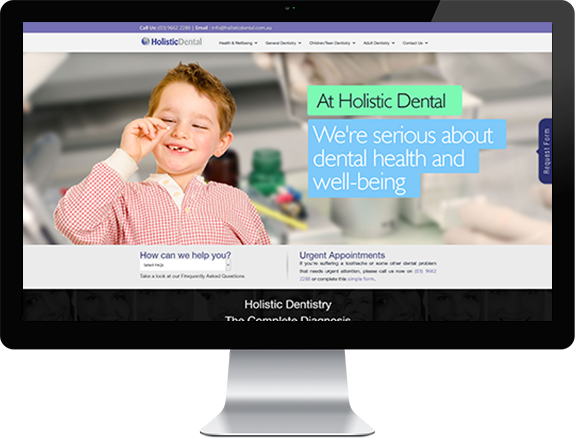 Redesigned the current Holistic Dental website. Holistic Dental are a company with a natural approach to dental care. They aim to help clients keep their own teeth for as long as possible. For Holistic Dental, dental care should view itself as just one part of a holistic approach to health. 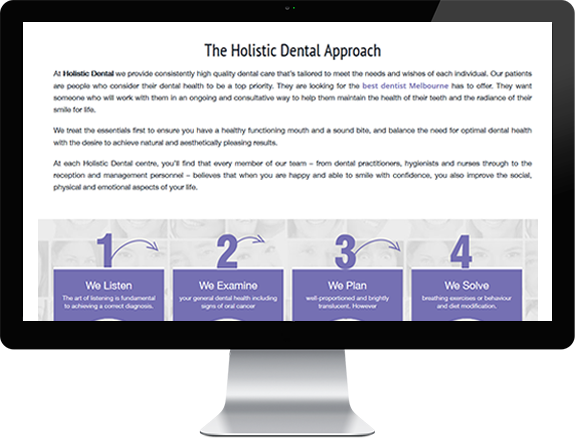 Holistic Dental required Platinum SEO to create and implement a digital strategy that would allow them to communicate these values to customers. However, first Platinum SEO needed to make sure they were attracting the right customers to their website. Working closely with Holistic Dental, we created a list of associated keywords for their business. We provided them with high quality content for their website that would engage customers. When then optimised the website for CRO so visitors to the website began turning into customers. 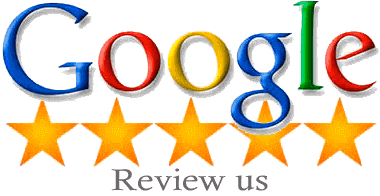 Thanks to the efforts of Platinum SEO, Holistic Dental is now ranking on page 1 of Google for their chosen keywords.